My research has mainly focused on empirical studies on monetary policy, mostly in the euro area, its effectiveness, differences in effects across the countries and their determinants, role of banking sector in the transmission mechanism, international spillovers, and a problem of financial integration in the euro area. Further, I carry out studies on the situation in the banking sector, bank performance, bank efficiency, and their determinants. Other research interests include problems of international finance and macroeconomic empirical analysis. This course presents various aspects of the global economy: international trade, capital and labour movements, currency and financial markets; their rationale, occurring changes, policy issues and challenges. The aim of this course is to provide an understanding of the basics of theoretical analysis for international economics as well as present and discuss various issues regrding the global economy in the less formal way. The further objective of the class is to present these topics in English, allowing students to gradually develop skills of listening and reading as well as discussing the topics regarding global economy in English. This course presents the process of European integration and the economics of the European Union. European integration, which started in 1950s, has been reaching deeper and deeper stages and covering increasing number of member states. Such deepening and enlargement has brought increasing economic and political importance of EU not only in Europe but also in the world. By the end of the course, students will be able to describe the process of European integration and its present state, explain it from the economic perspective as well as understand the current problems that EU is facing. This course covers the aspects of the European economy revolving around the process of market and monetary integration in the European Union; their theory and rationale, occurring changes, effects, policy issues, and future challenges. The topics discussed during the class include, inter alia, market integration in form of customs union and common market, issues of monetary integration - euro introduction, euro crisis and the ongoing reforms, and the issue of Brexit. The aim of this course is to provide an understanding of the theoretical analysis of the market and monetary integration as well as discuss the related effects, problems, and policy developments in Europe in the less formal way. Students are thus able to better understand the benefits and costs of the economic integration in the present world and discuss various policy options for better arrangements. A. Wierzbowska, and M. Shibamoto (2018), “Cross-Country Evidence on Determinants of Fiscal Policy Effectiveness: The Role of Trade and Capital Flows”, Applied Economics, Vol. 50, Issue 32, pp. 3493-3514. A. Wierzbowska (2018), “Banking sector, financial integration, and monetary policy in the euro area in the context of the financial and sovereign debt crisis”, Kokumin Keizai Zasshi, Vol. 217, No. 1, January, pp. 73-88. 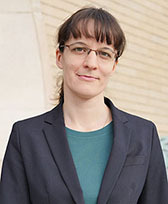 A. Wierzbowska (2015), “Financial markets in CEE countries and their role in transmission of euro area monetary policy shocks”, European Journal of Business and Economics, Vol. 10, Issue 2, pp. 76-85.